Low Cost. Simple Administration. Wicked Protection. Inappropriate Surfing. Spyware. Instant Messaging Attacks. Phishing. Malware. Peer-to-Peer (P2P) exposures. Legal Liabilities. The risks of Internet connectivity and data protection requirements increase daily. Simply establishing an Internet connection exposes your organization to all of these risks and more. Lost productivity is always a concern as unmonitored employees surf, chat and share possibly illegally obtained files or corporate secrets. 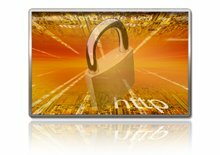 Worse yet, current security risks expose your entire network in drive-by attacks - invited to compromise your systems by casual web surfing. On top of guarding against these security risks, many organizations face forced compliance with regulatory requirements to safeguard their data such a HIPPA, CIPA, SOX, GLBA, and other intellectual property acts and regulations. We put our client's minds at ease by deploying the iPrism Web Filter from St. Bernard Software. 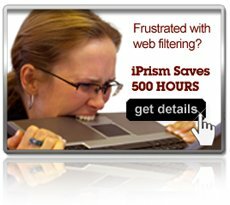 The iPrism Web Filter not only secures your network against Internet-based threats from malware, P2P and IM, it provides comprehensive drill-down and real time monitoring and reporting that can help you document your compliance and consistently stay within the boundaries of the legislation affecting your organization. With a human-reviewed database, flexible policy-based filtering, full integration with your Active Directory or LDAP authentication, anonymizer defense and integrated anti-virus protection, the iPrism delivers scalable, high-throughput performance, with robust on-box reporting included. Complete protection. Amazing accuracy. Distributed reporting. Flexible deployment and filtering. Contact us for a free in-your-network trial of the iPrism. You'll be amazed how easy it is to use.